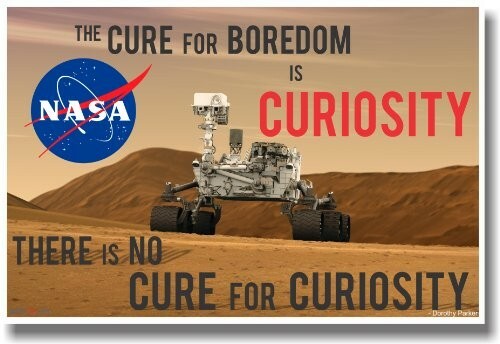 This high-quality poster features the Mars Rover and reminds everyone that "The cure for boredom is curiosity...There is no cure for curiosity." The poster measures 12 by 18 inches on high-quality and is printed on 80lb satin cover paper which won't pucker and wrinkle. 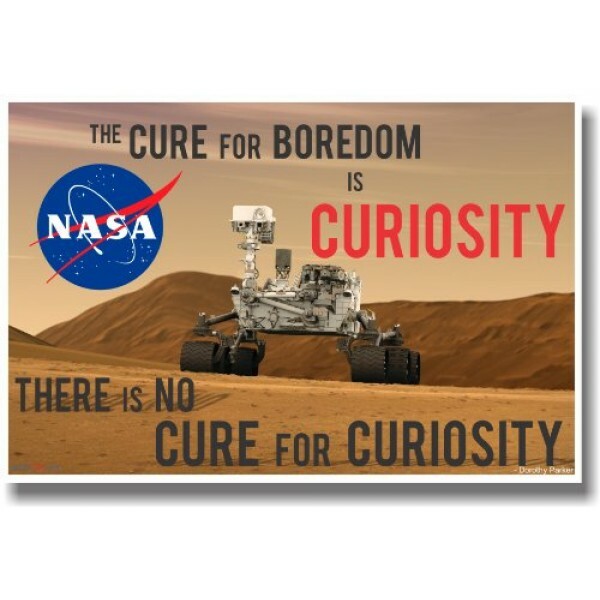 For more empowering posters, visit our Art & Decor section within Toys. For science kits and toys to encourage your Mighty Girl's interest in science and space, visit our STEM Toys section.